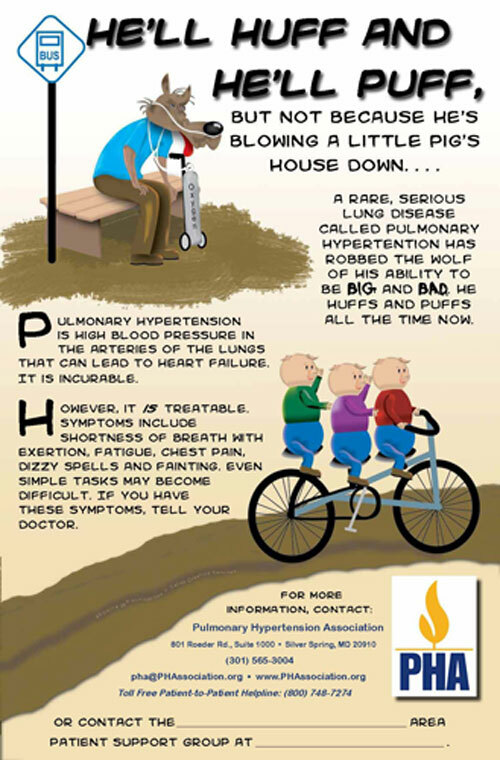 Poster illustrated for the Pulmonary Hypertension Association (PHA). Although designed for a local chapter, they liked it so much that 5,000 copies were printed and made available to 230 support groups. This project was done in collaboration with Donna Caterinni, who conceptualized the poster, and worked with me to make it a reality. See a complete write-up here.